Since we were first established over twenty years ago, we at The Pine Centre have established and cemented a reputation for bespoke pine and oak furniture of exceptional quality. Situated in the historic port town of Bideford, Devon, we have been creating and selling beautiful furniture for the last two decades. 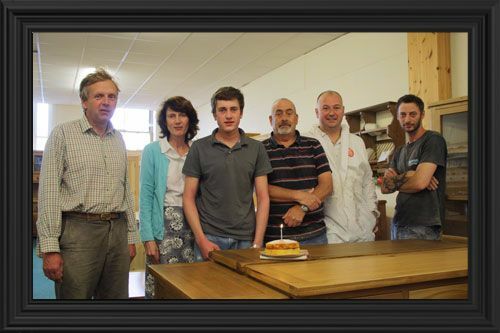 A long-standing, family-run business, we construct bespoke furniture for your dining room, kitchen or bedroom. We also supply a wide variety of modern and traditional-style pine and oak furniture from stock. Whatever bespoke furniture style you choose, in whatever material, you can be sure it will be designed and created with care and attention by our expert craftsmen, in our very own workshop. We will work in conjunction with you to design or supply the perfect furniture, to give you the home you’ve always wanted. We are renowned for our friendly service and reasonable prices. Once you have chosen your furniture, our own expert fitters will install it for you, with free local delivery and reasonable rates for delivering furniture nationwide. The service doesn’t end once your furniture is installed, however. We are happy to continue helping you, and offer excellent and comprehensive aftercare. Get in touch with us today, and we’ll be happy to arrange a no-obligation consultation.